We don’t really eat stuffing. 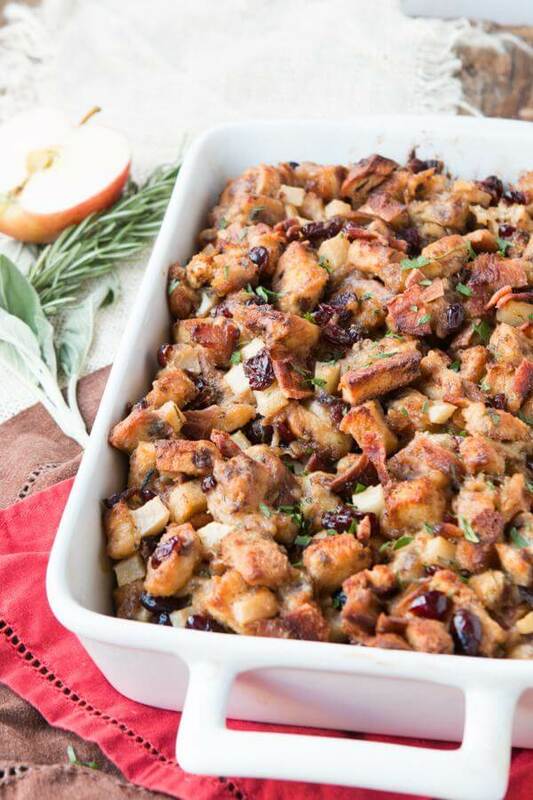 There, I admitted it and now you are wondering why we are sharing a sweet and savory stuffing. We’ve been working with Pacific Foods for months now and had the opportunity to travel to Oregon last fall to get to know the brand better. 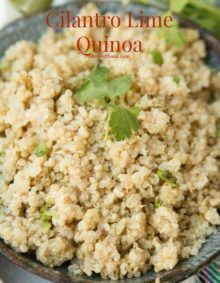 We adore that they are not only about providing really high quality products where the sources are known and up to their standards, but that they are also committed to making the higher quality foods available to everyone and not just the rich and famous. 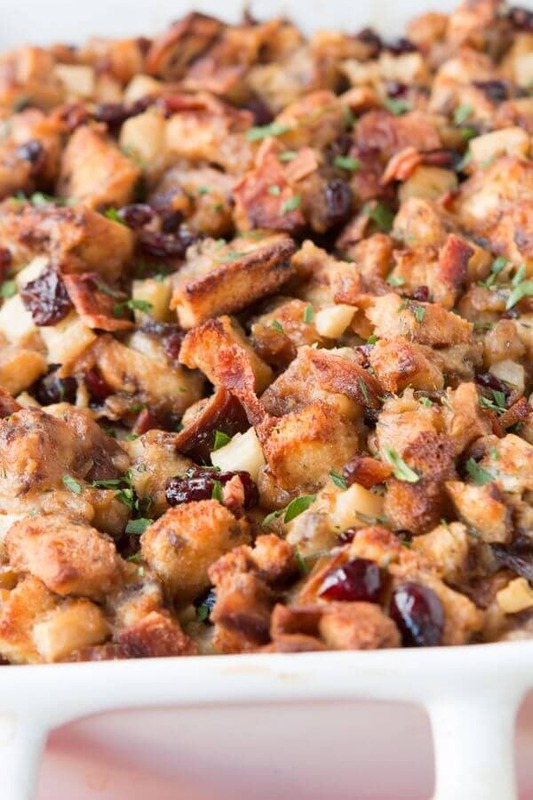 So this Apple Bacon Cinnamon Stuffing is a lot more than just a recipe to us. We have witnessed so much suffering around us the past few years. And it’s often people you have no idea are even struggling to feed their families that are hurting the most. Cade was an executive secretary in our ward at church for many years and I served in different ways that allowed us the opportunity to get to know people and their heartaches. 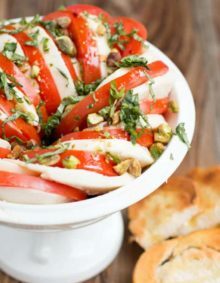 Holidays can be especially hard if you’re struggling financially, but this is a recipe that will use ingredients you can afford no matter what and still taste and look fancy. It’s also the first stuffing recipe we couldn’t get enough of. It starts out by using cinnamon bread. If you live by a bakery that sells cinnamon bread they often will sell off the older bread at a discount which is awesome and perfect for stuffing. You’re going to dry the bread out in the oven anyway so day old bread is a great start. 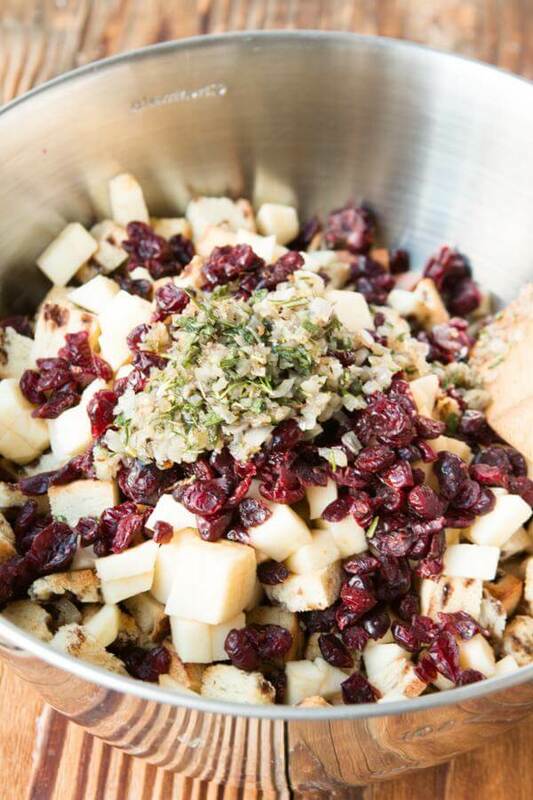 Next you’ll want to prep apples, bacon, craisins as well as herbs and get everything tossed together. We use apple cider as well as Pacific Foods Turkey Bone broth because it has such a fantastic full flavor and it goes perfectly with the holidays. Then just bake the whole thing off and dig in. 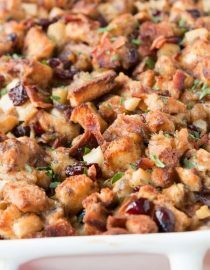 It’s seriously the best stuffing I’ve ever had and you get to use great ingredients without busting the bank. We love to bake up a big batch and drop it at someone’s home that could use a little uplifting in their lives. When do You Stuff A Turkey? 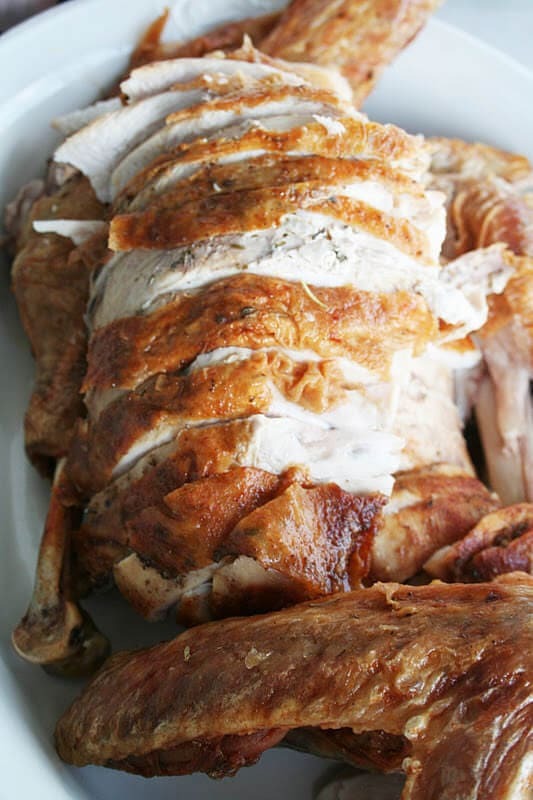 Place the prepared stuffing in the turkey just before roasting. It should not be packed in tightly– any extra can bake alongside in a separate dish. 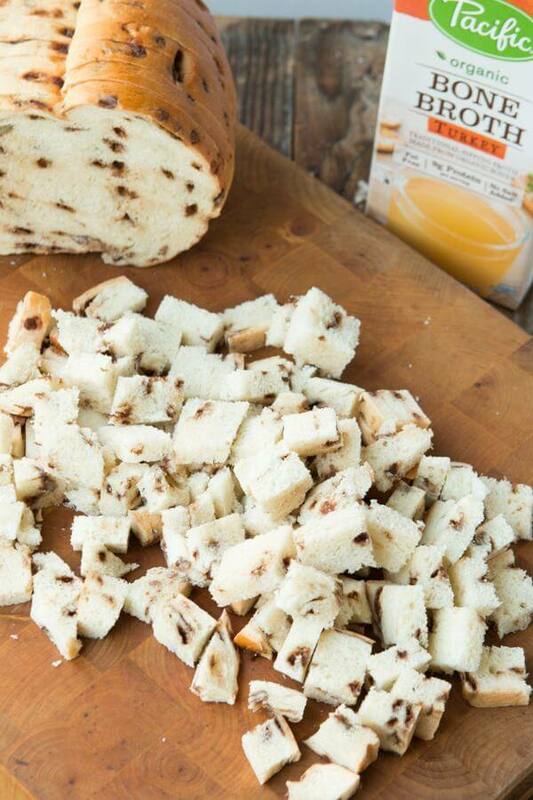 Can Stuffing be Made Ahead of Time? 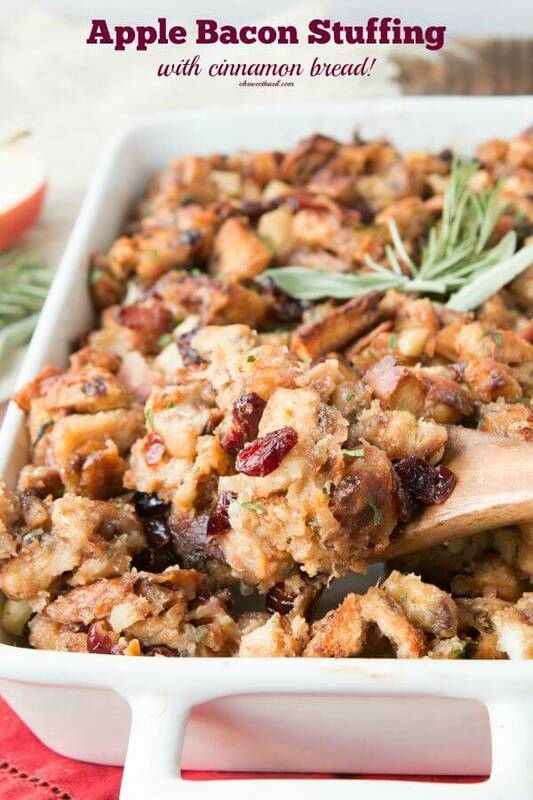 You can make your stuffing a day or two ahead of time. Just prepare the recipe and pop it in the refrigerator until you are ready to bake it. You can reheat stuffing a couple of ways. Reheat in the microwave for 2 to 3 minutes, stirring after each minute to make sure the stuffing heats evenly. Reheat in the oven in a baking dish using the middle rack. Preheat the oven to 400 degrees and spread the bread on a baking sheet. Bake the bread, stirring occasionally for 15 minutes or until beginning to turn golden, but not quite brown. 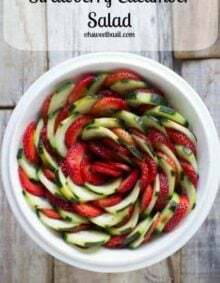 Remove from the oven and place in a very large bowl. Place the bacon on a foil lined baking sheet and bake at 400 for 15-20 minutes or until cooked. Remove to a paper towel lined plate and reserve 1 tablespoon of the bacon fat. In a large skillet, over medium heat add the bacon fat and sage. Stir with a wooden spoon for 1 minute and add the shallot as well as 1 tablespoon of butter. Cook until tender, about 1-2 minutes. Add the remaining herbs and cook for 30 seconds to bring out their flavor. Dump the entire skillet into the bowl with the bread and add the apples and craisins. Chop the cooked bacon and add to the bowl, tossing again. In the bacon grease skillet, add the apple cider and broth and whisk very gently over medium heat until it begins to simmer. Add the butter and whisk until it has melted then pour over the bread mixture. Add the whisked eggs and fold everything together. Butter a 9×10 casserole (9×13″ is fine as well) and pour the entire mixture in. Wrap the top with foil and bake for 40 minutes, uncover the dish and bake for an additional 15 minutes or until the top is golden brown. I can’t wait to try this. Looks real good. 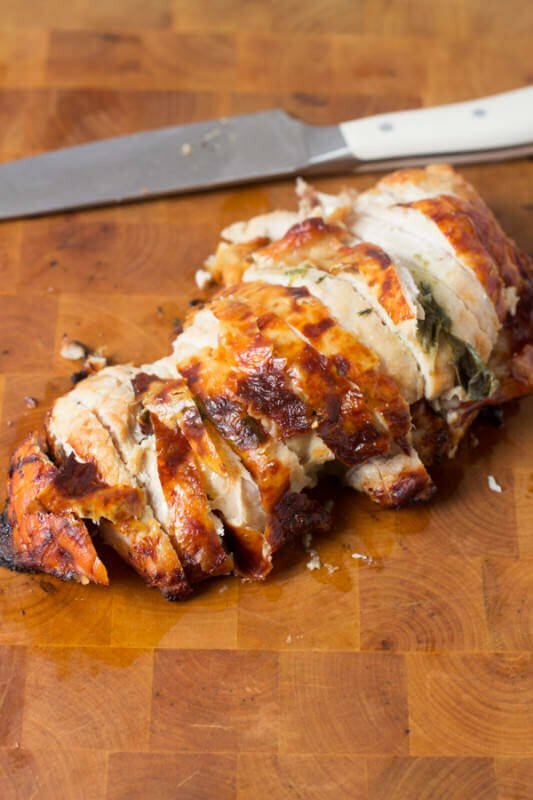 It seriously changed my opinion of stuffing forever! Apples and bacon? Oh my!! Interesting combination and looks amazing!! 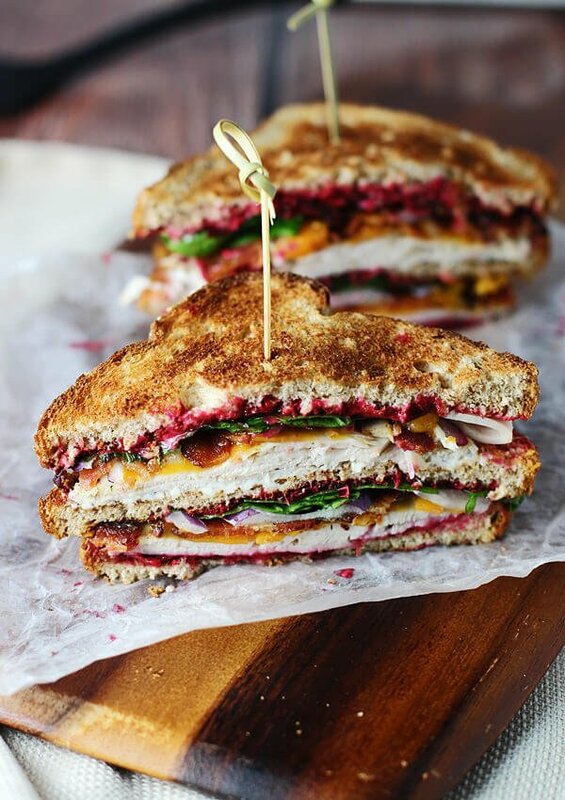 What a gorgeous stuffing, great flavors I’m sure it’s FANTASTIC! There are 2 eggs listed now. thank you and sorry about that! Thanks – Will be trying this next week. IF you can, feel free to remove my comment above, since the questions is now moot.